Once you go through the preliminary steps of gathering inspiration and picking a theme for your design, it’s time to focus on what could be considered the most important element of design: color. 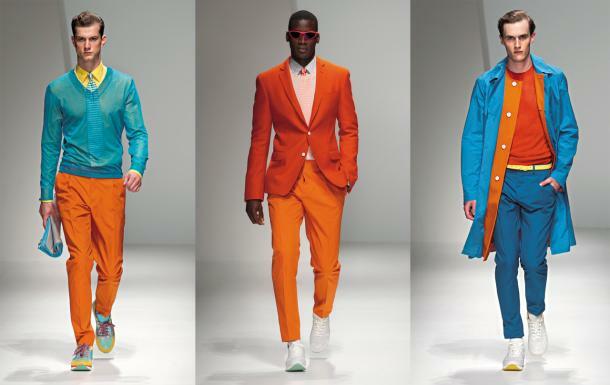 With colors, you can set a mood, attract attention, or make a statement. You can use color to energize, or to cool down. By selecting the right color scheme, you can create an ambiance of elegance, warmth or tranquility, or you can convey an image of playful youthfulness. Color can be your most powerful design element if you learn to use it effectively. The best way to come up with fantastic combinations is to practice. Set a goal of creating a new palette every day, keeping track of them on a site like Colour Lovers. You can create your own custom palette using inspiration from the world around you using an online tool like Adobe Color CC. 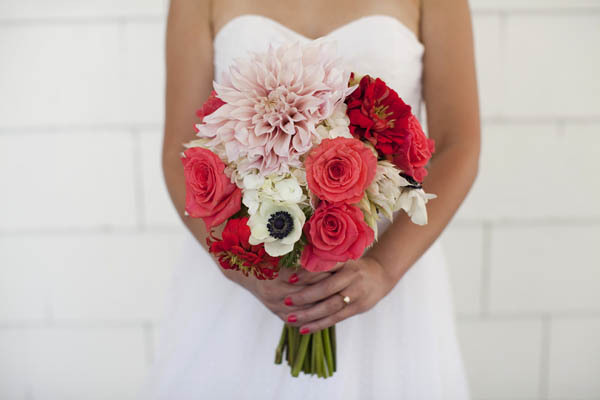 Start with a palette of 5 different colors and branch out if you need more. Experiment, go wild and have fun! Let’s begin with a short lesson on color theory, shall we? 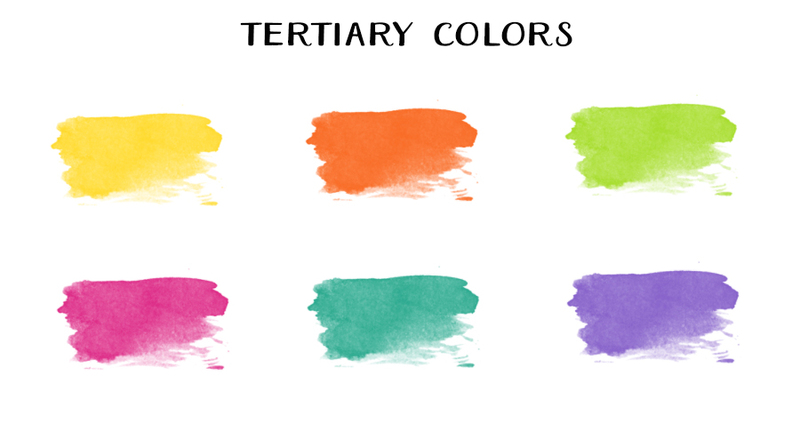 We’ll start with the 3 basic color schemes, primary, secondary and tertiary. Primary. There are three primary colors, red, yellow and blue. 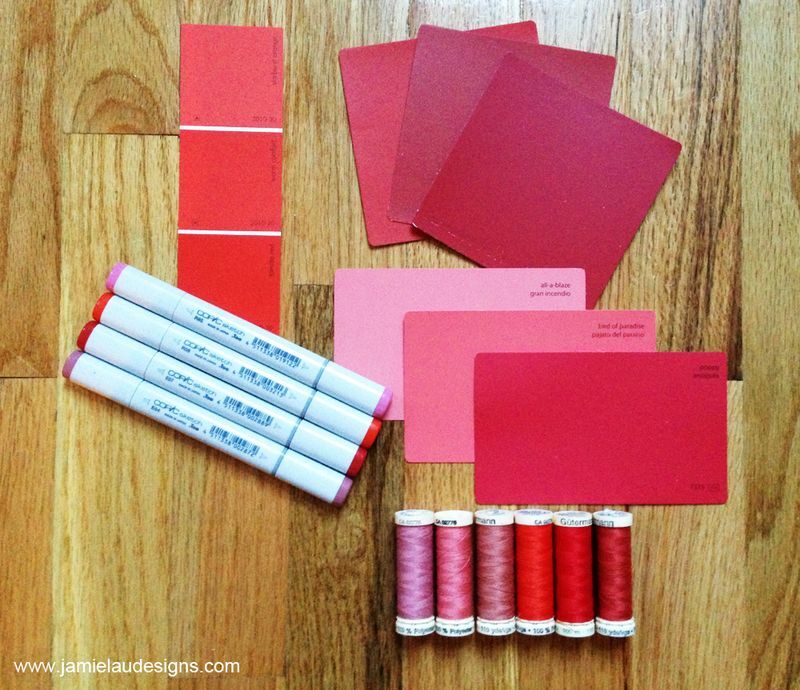 Think of these colors as a “mother sauce,” as they are the key building blocks of color. You can mix these three to create just about every other color on the spectrum. The three secondary colors (green, orange and purple) are created by mixing two primary colors. Another six tertiary colors are created by mixing primary and secondary colors. These are yellow-orange, red-orange, yellow-green, purple-red, blue-green, and blue-purple. 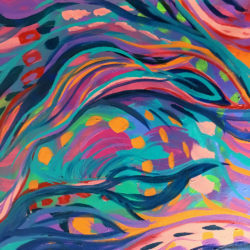 Color Harmonies are the basic techniques for creating color schemes. There are many variations of color harmonies, but today we’re just going to cover the most commonly used harmonies. These are the ones you need to know and feel comfortable working with as a designer. Monochromatic: this scheme is created by taking any one of the twelve hues from the basic color wheel and repeating it in various tints, shades and tones. You would be surprised how many variations, both obvious and subtle, can be achieved from just one color. This monochromatic color scheme approach can result in a quiet, calming effect. When studying this scheme you will become amazed at the possibilities that one color can give us! Analogous color schemes use colors that are next to each other on the color wheel. 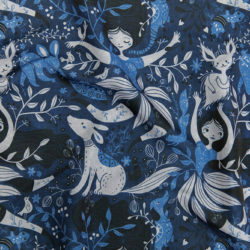 They usually match well and create serene and comfortable designs. These color schemes are often found in nature and are harmonious and pleasing to the eye. The trick with this color scheme is to make sure you have enough contrast, or else your colors will end up falling flat or monotonous. Choose one color to dominate, a second to support. 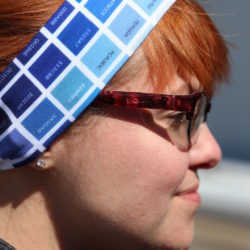 The third color is often used (along with black, white or gray) as an accent. Analogous color schemes dominate the fashion world. Style icons from Solange Knowles to Sarah Jessica Parker understand the confident sophistication that this color harmony can provide when executed well. Complementary: Colors that are opposite each other on the color wheel are considered to be complementary colors (example: red and green). The high contrast of complementary colors creates a vibrant look especially when used at full saturation. This color scheme must be managed well so it is not jarring. Try it with soft watercolors or pastels. This color scheme can be tricky to use in large doses, but works well when you want something to stand out. 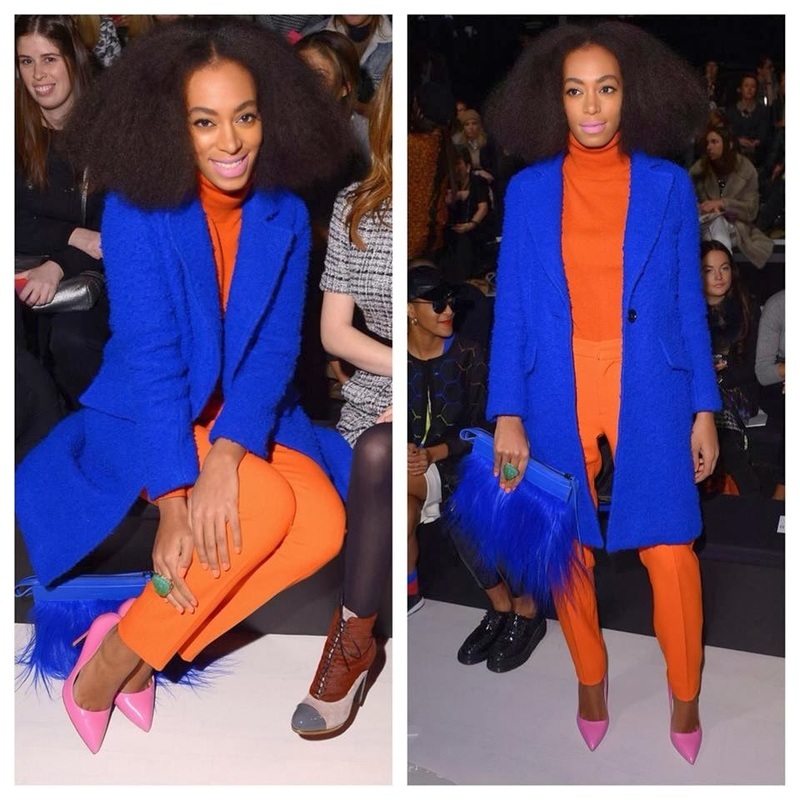 Again, the always fashion-forward Solange Knowles slays in a blue/orange complementary look, adding an analogous twist with pink pumps. Since we’re on the subject, we’d be remiss not to mention three terms that are often used incorrectly, but as a designer these words are a crucial component of your vocabulary. 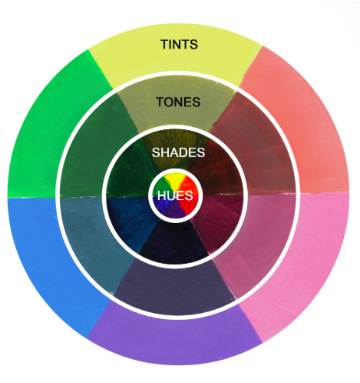 If a color is made lighter by adding white, the result is called a tint. If black is added, the darker version is called a shade. And if gray is added, the result is a different tone. Got it? Good. Now let’s take what we’ve learned and see how it applies when put into design action with fashion designer Jamie Lau. 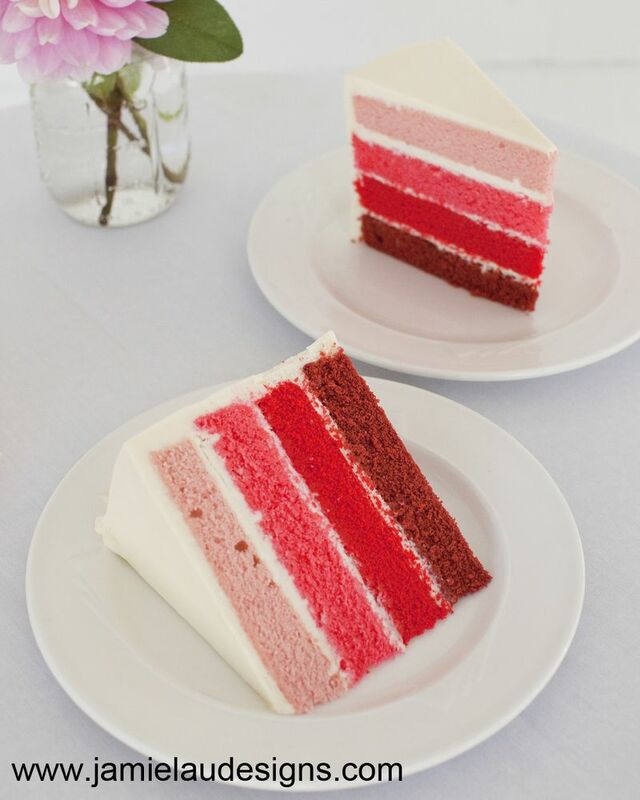 In a post Jamie wrote for the Spoonflower blog back in 2013, Jamie Lau’s Dress Project: Color Palette and Textile Design Inspiration, she explains how the inspiration for her wedding colors came from an idea to have an ombré red velvet and white cake design, reminiscent of paint chips. 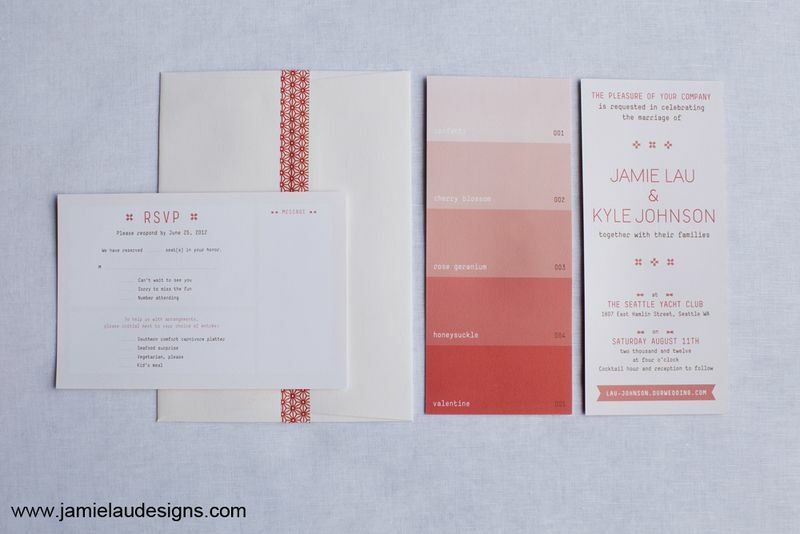 The result is a stunning, sophisticated monochromatic color palette that pulls together the entire event. 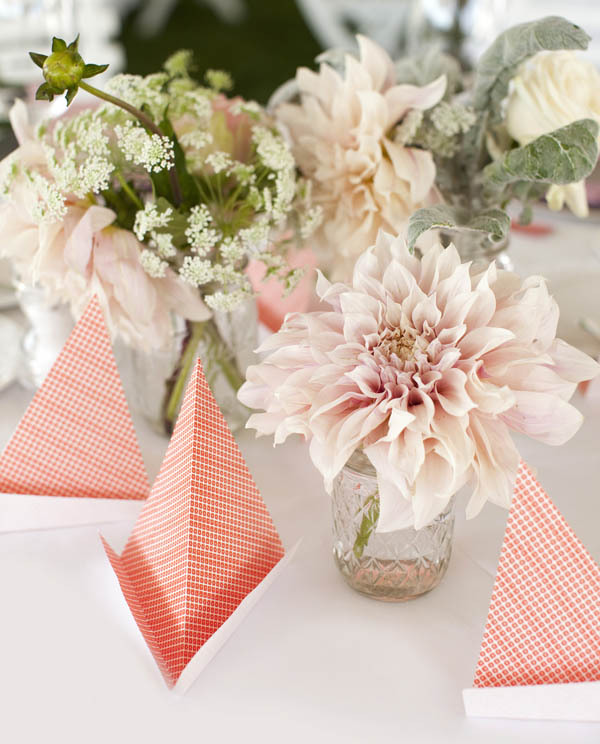 Take a peek at more photos and commentary from Jamie’s handmade wedding, which was featured on Martha Stewart Weddings back in 2013. 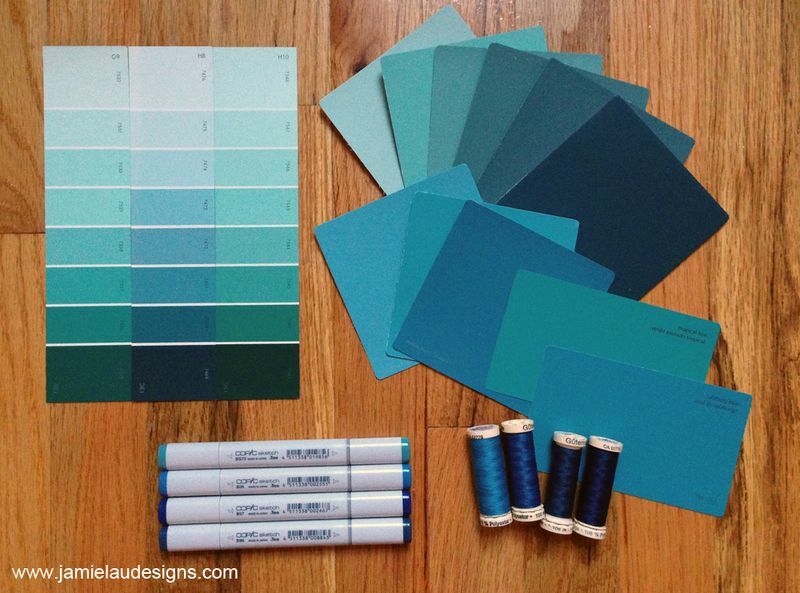 At this point you may be wondering… so how do I take my color palette I want and apply it to my designs digitally? If you’re using Adobe software such as Illustrator (this also works in Photoshop) you can use photographs to create custom color palettes. Check out the video tutorial below from Bonnie Christine as she guides you through how to do this using Adobe Illustrator. We hope you feel empowered with the knowledge to go out and create a color palette all your own for your newest textile design! Share it with us, won’t you? Tag your images when posting on Instagram with #12DaysofDesign. We’ll repost our favorites from the series! Rest up because tomorrow we’ll be tackling the various mediums that can be used to create designs. Missed a few posts? Catch up here. This series is great! Big, big thank yous! I’ll continue reading the series regardless, but will it be necessary to have either Adobe Photoshop or Illustrator in order to successfully design and print patterns? Thanks for following along, Sue! No — it is definitely not required or necessary to have Adobe programs to create your design! 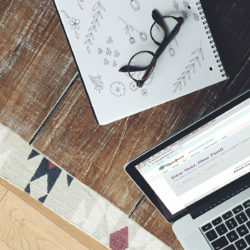 We use Photoshop and Illustrator as examples frequently since they are the most popular tools, but in just a few days we’ll actually be going over all of the free software programs and alternatives we recommend for non-Adobe users. Happy designing – can’t wait to see what you create! Oh wonderful! I hope you are able to cover GIMP! Nice video! if you are a member of Creative Cloud, you can drag and drop the colors into the library and they can be used in any adobe programm. I am using Gimp and publisher but finding more complicated designs slow down the publisher programme and wont transfer to JPEG I need help with that!